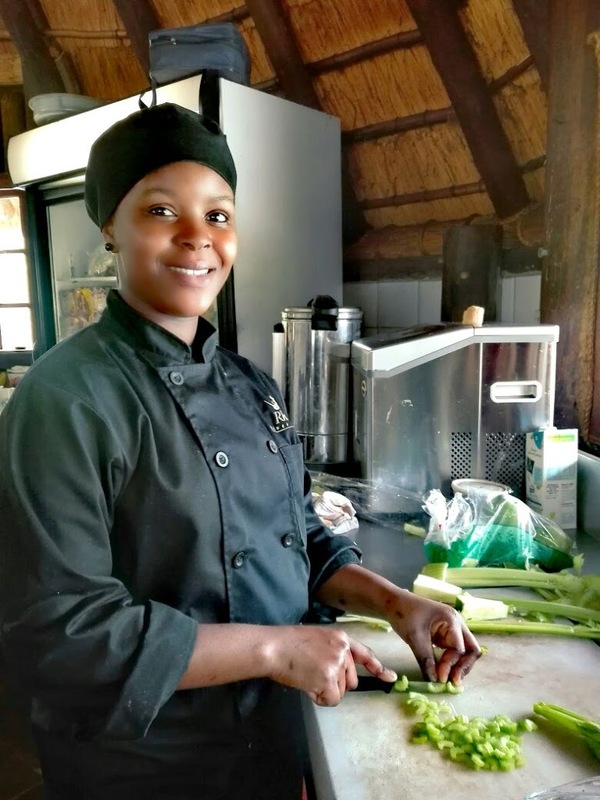 Nombuso is a young woman who aspires to do great things in the kitchen and in life. She is always smiling and happy looking, her attitude truly enlightens everyone that crosses her path. She has brought so much life into our kitchen with her new fresh ideas create a very inspiring atmosphere for all our staff. The best thing about having Nomubso around, is her love for the bush and animals. I have often walked into the kitchen at caught her staring out the window looking at the warthogs or Nyala inside the camp. I feel that this is such a great trait and a very important one in this type of working environment. What led you to your position at Rhino River Lodge? 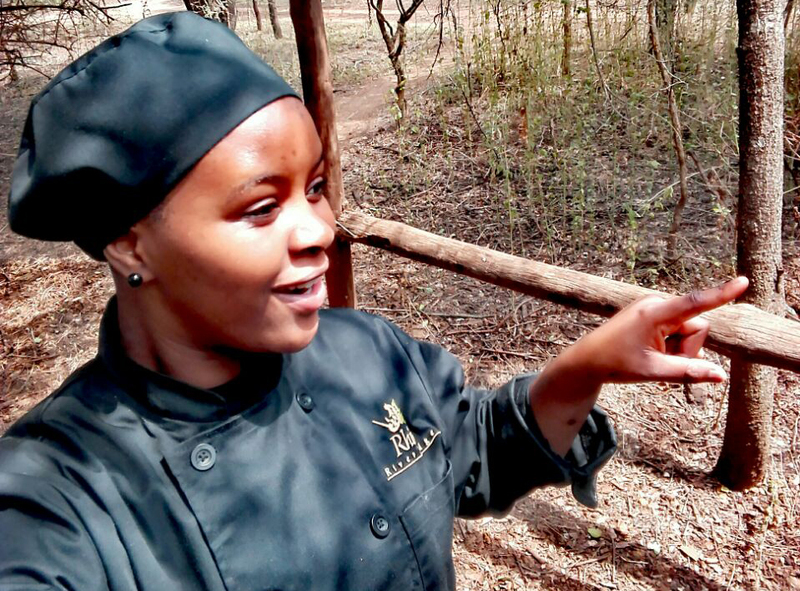 What is a typical day like as a chef in a Safari Lodge? There is a lot that goes on behind the scenes in a safari lodge kitchen, but staying busy is a great thing and we here at Rhino River Lodge are constantly trying to improve and upgrade our menus. That being said, it can have its difficult moments. We have to be very well organized as we’re so far away from shops and markets. If a supplier doesn’t deliver, or we run out of stock of a particular item, or we get last minute dietary requirements that we were not made aware of, we could be in a sticky situation. But this all motivates us to think on our feet and to constantly be prepared for anything. When are you in your happiest element on the job? I love having the freedom to create my own dishes using different ingredients and making sure it comes out delicious! I enjoy being creative and spicing things up a little in the kitchen. Can you tell us about a funny, off the wall, crazy bush moment you have anywhere in the wilderness? I was doing a Bush Dinner one night when one of our rangers wore a fake leopard skin and hid underneath one of the guest’s tables. When the guest came for dinner they saw this ‘leopard’ and they were then told to run! 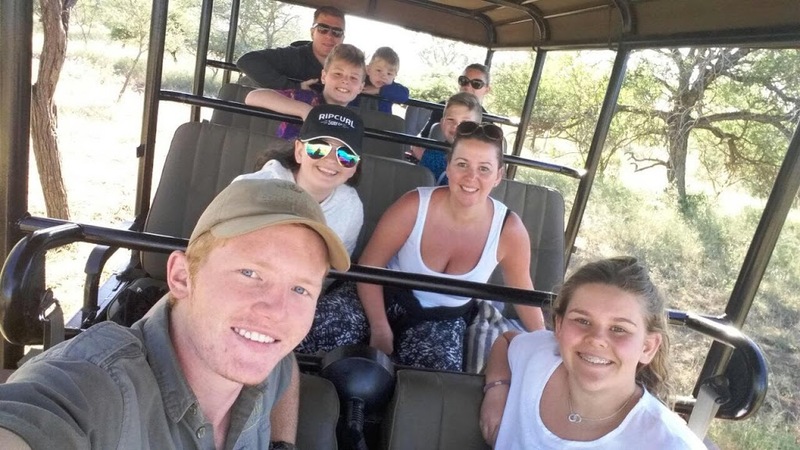 The guests all started running straight for the trees in a panic and then the ranger revealed himself and the guests had such a laugh about it! What is your favorite meal to prepare in your kitchen? Braai day! Why? Because it’s something different for the guests, especially those from overseas as it is a very traditional, social meal here in South Africa. This type of a meal setting gets the guests interactive. If you were to be turned into an animal, which would you most like to be and why? I would want to be a giraffe because they always look so clean, calm and gracious. I guess it’s because they are so tall they could see anything coming!